Used where the roller needs to be able to reach out further to the bow. 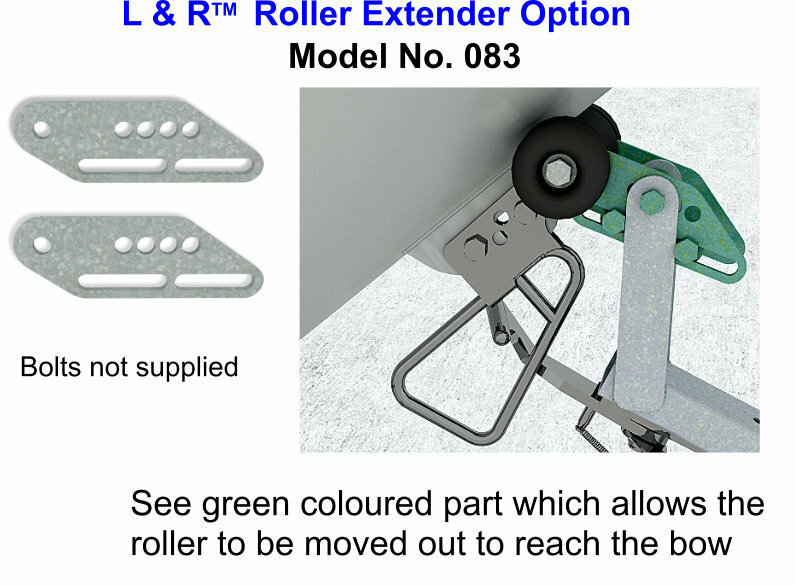 More commonly required on Towing Eye (Aluminium) boats, especially where the winch post is more laid back than approaching vertical. Wedged in between the towing eye and the bow... the boat is halted and prevented from 'riding' upwards.